The need for corrective horseshoe may be indicated by gait abnormalities visible when the horse is working, abnormal shoe wear or lameness. As a horse owner, you must have detail knowledge about corrective horseshoe. 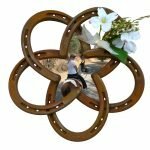 In my previous article, I have discussed in detail horseshoe, preparation of horse foot for shoeing, procedures, and removal of the horseshoe. 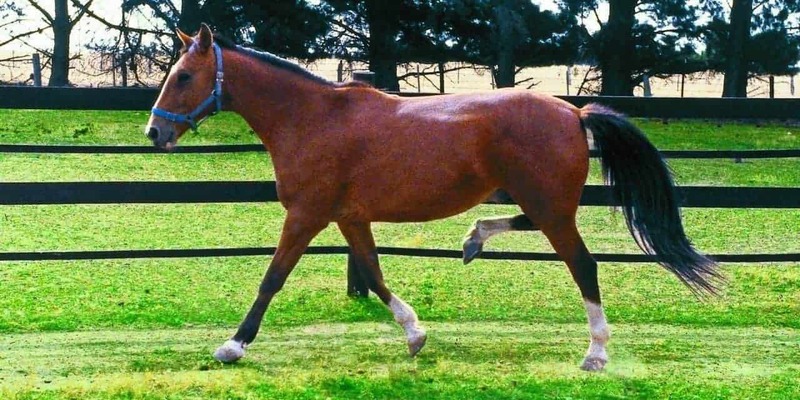 To assesses a horse’s gait to determine whether it has any gait abnormalities observe it at a walk and a trot, on a loose rein, as it comes towards you, moves away from you and goes past you. 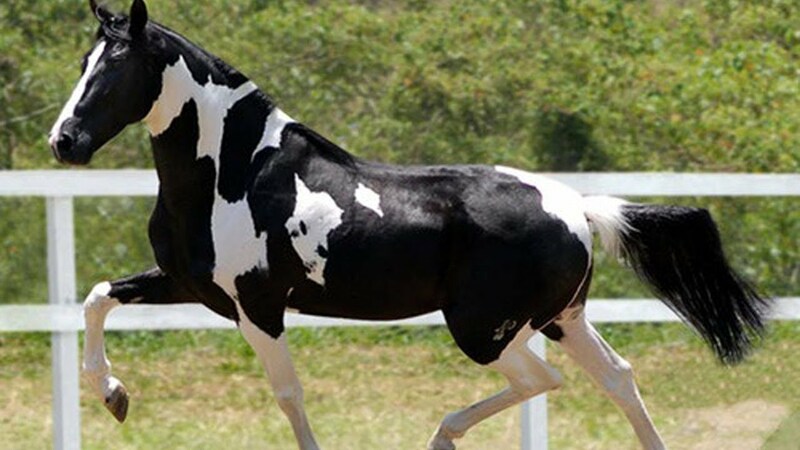 A sound horse moves its legs in alignment with its body, its toe pointed forward and the foot set down flat. The standard action of a front leg is characterized by the foot breaking over at the toe with the flight of the foot following a smooth arc which reaches its peak as it passes the opposite leg. The flight of the foot is outwards and then inwards in a circular movement. The foot lands and breaks over on the outer branch of the shoe, which results in excessive wear of the outside quarter. The flight of the foot is inwards and then outwards in a circular movement. The foot lands and breaks over on the inner branch of the shoe, which results in excessive wear of the inside quarter. The foot moves inwards to land more or less in front of the other foot. The foot comes down flat, and so the shoe is not abnormally worn. 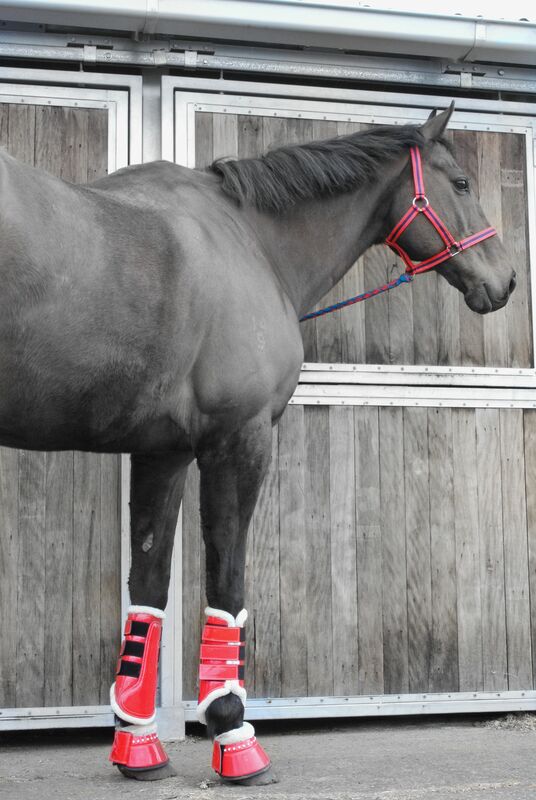 Apart from lameness, the two most important factors affecting gait are conformation and the hoof and shoe balance. 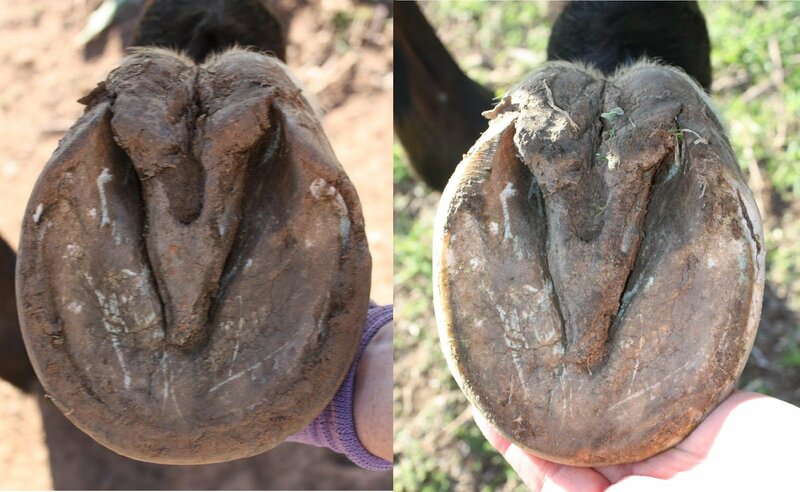 A horse with a toe-in conformation tends to wing-out, while a horse with a toe-out conformation tends to wing-in, resulting in excessive wear on the outer and inner branch of the shoe respectively. With a sloping pastern foot axis the break-over of the foot is delayed, whereas stride and keeping its feet close to the ground, whereas with an upright pastern foot axis the break-over of the foot is quick, resulting in the horse having a short stride and bringing its feet sharply to the ground, drastically increasing concussion and being an uncomfortable ride. 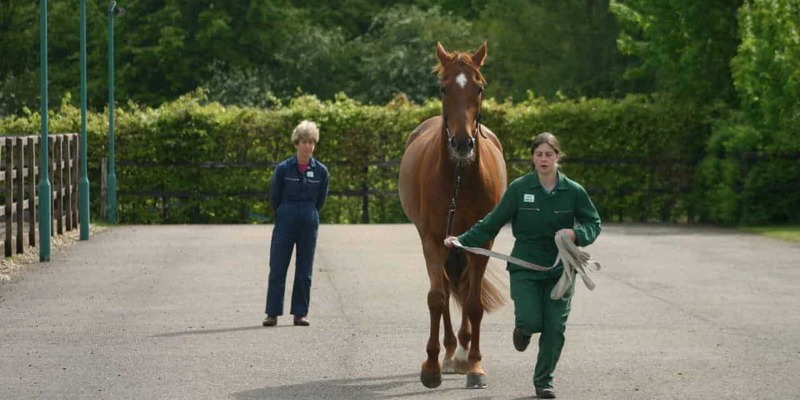 An excessively long hoof result in increased flexion of all the joints of the limb and break-over is delayed. If a horse hoof is not balanced with the limb conformation, it with be twisted towards the longer side when on the ground and tend to wing in the other direction when in flight. There are some injuries of horse which arise from the abnormal horseshoe and shoe removal. Most common injuries are discussed in the following paragraph. This is an injury caused by the horse striking the inside of one leg, in the region of the fetlock, with the shoe of the opposite foot. It may be due to fitting the shoe too wide on the inside or a toe-out conformation. 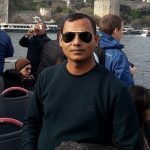 It is very difficult to take the decision which part of the shoe is responsible for the injury, but this can be ascertained by chalking or greasing the horseshoe and noting where the chalk or grease is rubbed off. Such measures can prevent mild cases as fitting a flat and lighter shoe, shoeing behind without calkin, replacing a calkin with a wedge heel and adjusting the inner branch of the shoe close, and rasping of the overhanging wall. There are two types of shoes frequently fitted to prevent brushing. First, the knocked-up shoe, which has a narrow inner branch, thereby reducing the ground surface which is sloped downwards and inwards, and rounded off. The branch is fitted close, any projecting wall is rounded off with the rasp, and it is blind except for one or two nails at the toe. It is recommended to prevent brushing injuries caused by the toe or mid-quarter of the toe of a shoe. Second, the knocked-down shoe, which has both branches of the same width but the private branch where it strikes the opposite leg is knocked down and rounded off. This shoe is recommended for horses with a toe-out conformation which results in injuries being caused by the next quarter of the branch and the heel of the shoe. Another method used to prevent brushing is for the toe to be squared off and the inside branch rolled. Forging is due to faulty action at the trot when the heel or inside of the toe of a front shoe is struck with the corresponding hind shoe. It can also occur as the rear foot comes past the outside of the front foot and the inside of the toe of the shoe strike the outside heel of the front horseshoe. 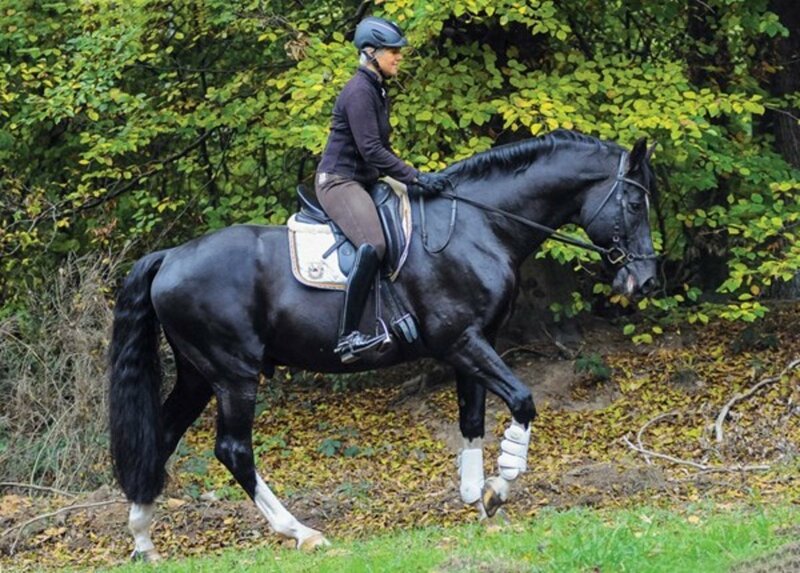 Forging occurs in young and unfit horses, and it gradually disappears as the horse gets fit. The actual contact between the shoes takes place when the hind foot is reaching the end of its flight, just as the front foot leaves the ground. Therefore, to prevent forging, a shoe has to be fitted which hastens the break over of the front feet and delays that of the hind feet. This can be attained in front by providing a concave shoe and increasing the break-over by rolling the toe and slightly raising the heels. To delay break-over of the hind feet the heels of the shoe should be lowered and left a bit long; this acts as a break when the foot comes to the ground. This occurs when the inside wall of a hind foot strikes the inner wall of the forefoot and is very common in pacers. 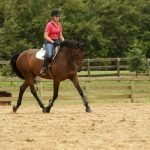 Squaring off the toes of the forefoot will help it break-over in a straight line, and the hind feet can be shod with a three-quarter shoe. This is the name given to an injury at the back of the leg caused by the inner edge of the hind shoe striking the front leg when the horse is moving at speed. This may injure the heel or loosen the shoe at the heel. To prevent this injury the horse is shod to hasten the break-over of the front feet and delay the break-over of the hind foot. This is achieved by fitting a rolled toe shoe with raised heels in front and rear shoes with the heels half the thickness of the shoe at the toe, and left a little long to delay breaking-over of the foot. A horse will stumble if it catches or digs its toes into the ground. This is most liable to occur when the animal is tired, has long large feet, lands on its toe due to lameness, or has reduced flexion of its fetlock or hock joint. A horse is always more liable to stumble when recently shod before the shoe has worn to conform with the horse’s action. 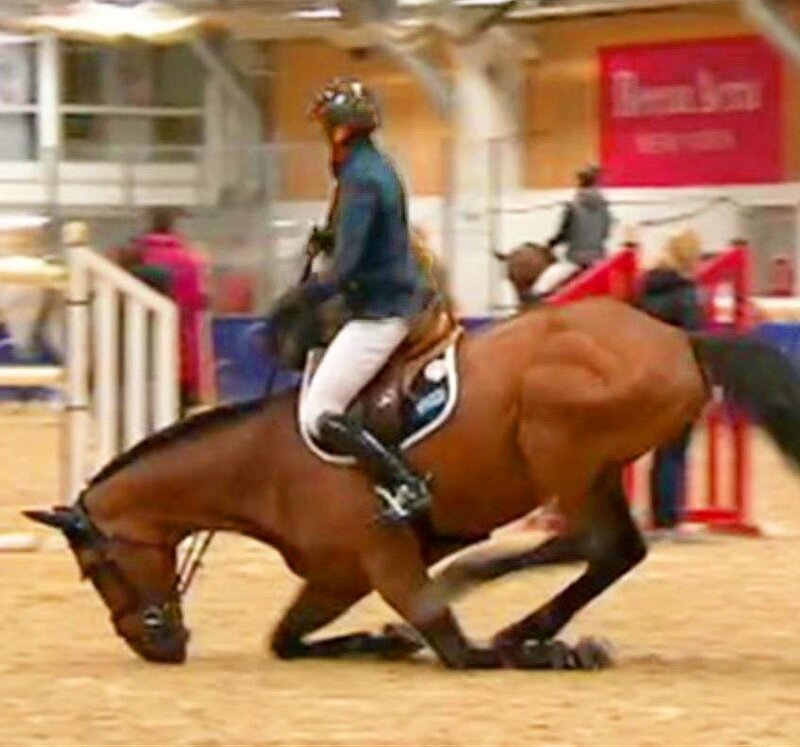 To prevent stumbling the horse must be shod to avoid the toe from coming into early contact with the ground. This is achieved by rasping the toe short and fitting a rolled-toe shoe with raised heels to increase break over. Study the wear of the worn shoe to gauge the extent to which the toe should be rolled. 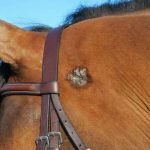 This occurs when horses are galloping, and they graze the skin on the back of the fetlocks. 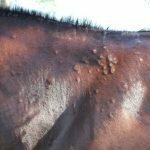 Horses with long sloping pasterns are especially prone to this type of injury and may need to be bandaged to prevent excessive damage. The toe of the foot is shortened, and a shoe with a raised heel or heel extensions may help overcome this problem. It is essential to study the wear of a shoe when it is removed so that defects of conformation and any faults in the preparation of the feet can be taken into account when fitting a new shoe. Even wear of a shoe indicates that the foot has been reduced to its correct proportions and that the type of shoe is suitable. If horses with a regular action wear out the shoes more quickly than average, then a more full webbed the horseshoe rather than a thicker the horseshoe should be fitted. The unevenness of wear results from a variety of causes including inadequate preparation of the feet, an abnormal conformation of the limbs or pastern foot axis, or the horse’s gait. Excessive wear of the toe of the shoe may occur because the toe is too long, the horseshoe has excessively high calkins, or the horse lands on its toe to alleviate pain, as is seen in the navicular disease. This can be corrected by turning up the toe of the shoe, out of the line of wear, to resemble the worn surface of the old horseshoe. Excessive wear should never be compensated for by increasing the thickness of the horseshoe. 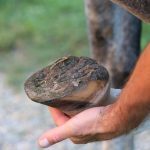 Excessive wear at the quarter of the shoe is due to an uneven bearing surface or an abnormal pastern foot axis with a toe-in or toe-out conformation. If the wear is due to a rough surface then lower the foot on the appropriate side to its normal proportions. When the wear is due to a toe-in conformation, it can be rectified by reducing and rounding off the margin of the wall at the inside toe. The shoe should be fitted close to the inside toe and quarters; but on the outside, from the quarter to the heel, it should be adjusted a little wider than usual. For a toe-out conformation, the reverse procedure should be adopted. Excessive wear at the heels of the shoe is generally due to either chronic laminitis or ringbone. Fit a shoe that has long heels. 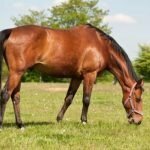 You must take care to differentiate flat feet which are congenital and due to confirmation and flat feet which acquired as the result of a disease such as laminitis. A flat foot is one which is large in circumference, has an excessively sloping wall, low heels, prominent frog and a sole which lacks the normal concavity. Pressure on the sole can be relieved by fitting a seating a seated-out shoe. It has an extensive web, and the accommodation is carried back to the nail holes, except at the heels which are left flat to allow standard weight bearing. Due to the suction created in heavy going, these shoes can be easily pulled off. 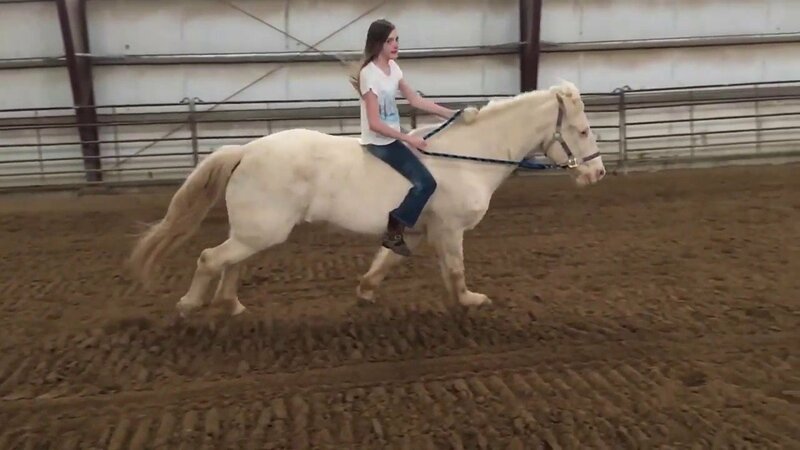 Upright feet in adult horses do not require any special shoes. A naturally vertical foot should not be altered, but an acquired vertical foot should be correctly balanced by trimming the heels. Weak heels, which are usually also low heels, curve forwards and the weight taken on the outside of the wall. The best results are obtained by shoeing frequently with wide fitting or wide webbed shoes so that the hoof has ample bearing surface at all times. If there is no improvement, it may be best to raise the heels artificially with a raised heel shoe or plastic wedge. A contracted foot is smaller than average, narrow at the quarters and heels, with an excessive concave sole and a little frog. The treatment method of contracted feet depends on the cause, and it is essential to consult a farrier or veterinarian about the reason. A bar shoe which promotes frog pressure and heel expansion will help reverse the contraction. Often it is helpful to set the horseshoe slightly wide at the heels or slipper the heels to allow heel expansion. The horseshoe should not be nailed beyond the quarters. 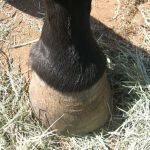 Turning a horse out unshod so that the foot can take the weight, obtain frog pressure and function normally and grooving the heels to obtain expansion is helpful in some cases. Trimming the heels, hard will allow heel expansion as the young hoof wall is softer. 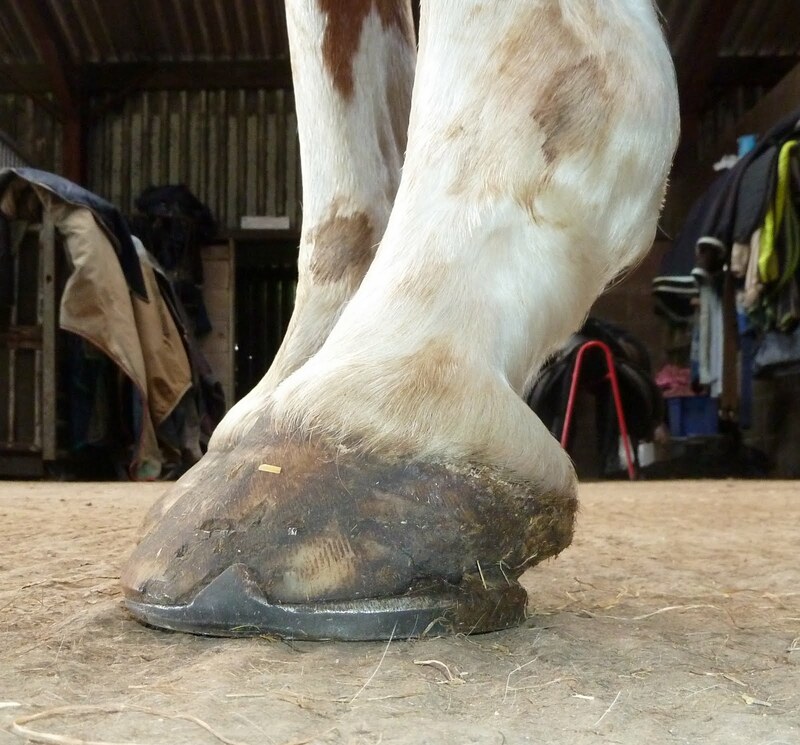 To obtain help with these conditions you need a farrier with corrective shoeing expertise. Not all farrier have the skill or experience, and you should ask to be referred to an appropriate farrier. 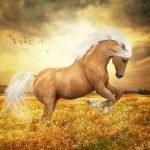 In my two articles, I have discussed everything on the horseshoe, fitting of horseshoe, removal, and conditions of the corrective horseshoe. If you read the above article minutely, you get all the answers related to the horseshoe. Nowadays, the horseshoe is used on draft horses extensively. 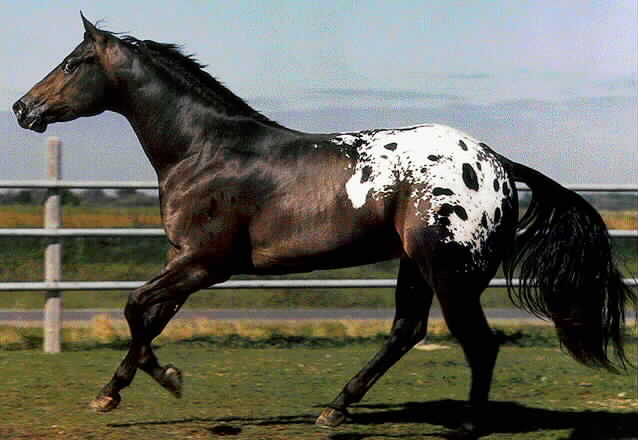 Moreover, in the racehorse, it also very common to use horseshoe. 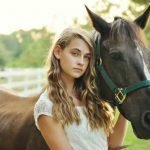 As a horse owner, the above piece of information will help you a lot. If you think better, please share with your friends via social media.